The night and day rogaine course is a varied mixture of native forest and pine plantation in the Tallaganda State Forest SE of Queanbeyan NSW. 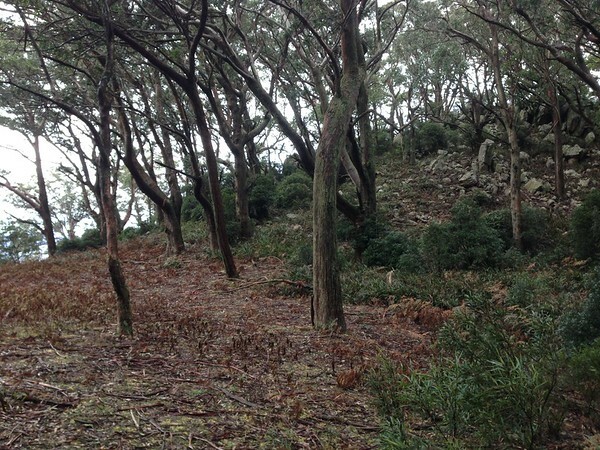 The native forest is very beautiful in areas with lush undergrowth and rocky outcrops. There are also loads of wombat holes. Elevation varies from around 900m to 1400m, with some spectacular views. There are many fire roads and motor bike tracks which can help travel significantly, especially in areas of thicker vegetation or when navigating at night. Teams are welcome to enter for either night and/or day events, but these will be treated as separate events for points calculation. If entering for both events, you will need to submit two entries. As only one entry fee is payable, please indicate when entering for the second event that you have also entered for the first - so the second fee can be remitted. There is ample parking and camping space at the HH, but no facilities, so please BYO camping gear etc. Meals will be available at the end of each of the two events, but we are not providing breakfast.